With the fading out of The Tango Center sometime this summer, there's been lots of talk about the past, present and future of social partner dancing, especially as it applies to downtown Eugene. From 1900 to about 1960, between 10% and 50% of the city's population attended partner dances every weekend in downtown Eugene. But there's a problem in the comparison ... partner dancing was not only the major form of social dance, it was the major point of live music at the time. Even rock-and-roll was originally played for partner dancing, and the styling solo moves you'd show your partner eventually became the solo-dancers-in-a-crowd system that took over the dance scene worldwide. The problem now is obvious, often in the same facility. 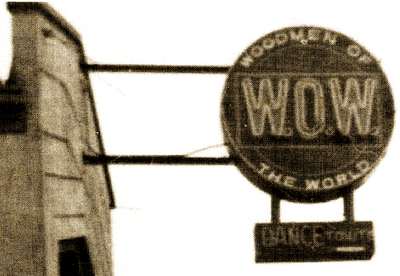 Like a dozen now defunct downtown venues, the WOW Hall, in its current building, held regular, never-preempted social dances. These would not conflict with live music, because live music was intended for dancers. But today, in the same venue, dancers can't have regular partner dances at the WOW Hall ... they get kicked out because they are a vast minority in the social and music scene. 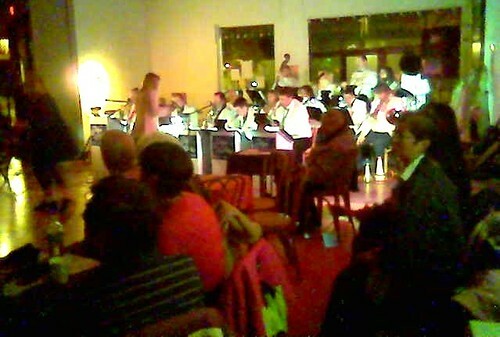 In some sense, The Tango Center tries to overcome this problem, by nurturing live music for dancers. 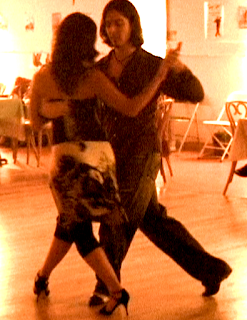 It tries to do this in an educational setting, so classes before the dances can act as social lubricant for the dance, and raise the level of people's dancing. After the summer, how might partner dance look downtown? Well, a few venues will hold some dances now and then, but perhaps the dancers themselves may start to explore music that was not meant for dancing. A Mood Area 52 or a Taarka concert will have a few Tango-blues-fusion couples hanging around in the corners. I'd say they're getting the most out of the concert ... so maybe this will catch on. But some venues will have to give them space to do their own thing on a regular basis, so they have enough group coherence to take on these experiments. Lord Leebrick Theatre just bought the building that houses The Tango Center. In a press conference, Lord Leebrick's artistic director said he was alerted to the existence of the buildings because the Tango Center went public with the troubled relationship with the landlords. Luckily, Lord Leebrick was able to buy the building for themselves: no landlord issues for them, ever again! Assuming the Tango Center can fit into some other space on West Broadway (although it's staying temporarily in the building) then this neighborhood will really start to become the thriving center of town it should be. 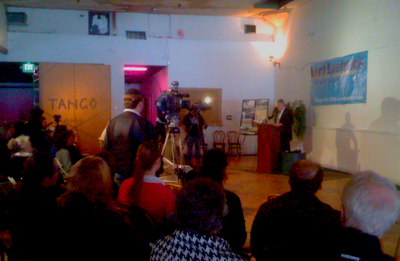 So, after revitalizing the block, and saving the affordable West Broadway arts neighborhood from destruction in 2007, The Tango Center has permanently saved the neighborhood. It may not get to stay there, but teaching 10,000 people to dance Argentine Tango, stopping Urban Renewal, saving a historic building, and providing a permanent home to DIVA and Lord Leebrick -- not bad for a six-year run!